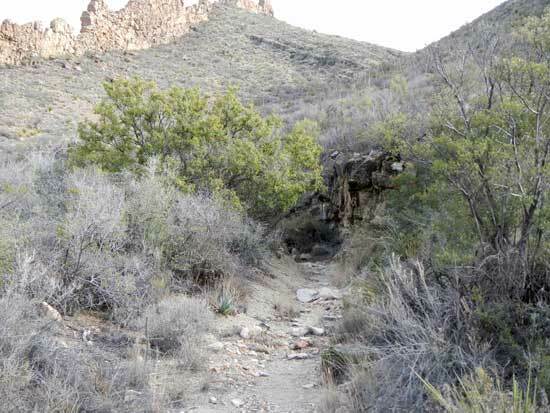 Ward Spring Trail is a modest uphill hike from the Ross Maxwell Scenic Drive to the base of the Chisos Mountains. 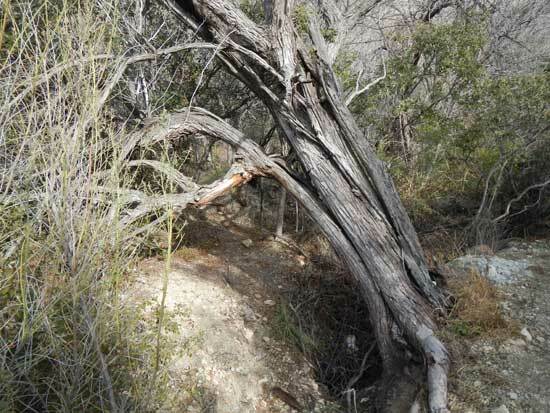 The spring itself was originally used as a water source for cattle on the Homer Wilson Ranch. As you hike the trail, you’ll see the old galvanized pipe along the trail that was used to move the water. The spring itself won’t be that impressive to somebody from wetter climates, but it should help you to truly understand the life giving qualities of water. You’ll start the trail in the dry desert comprised of lots of dust and a few low grasses, to a lush oasis full of trees and shrubs. As you move along the trail, the change in vegetation will be very apparent. As you look at the small trickle coming out of the mountainside, think about how that small bit of water makes such a massive impact on the surrounding environment. Click here for a larger topographic map. 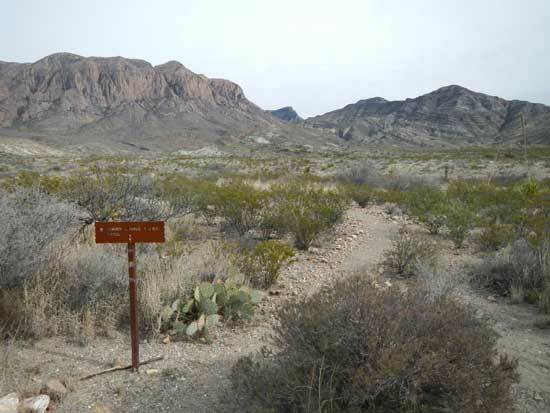 To get to the trailhead for Ward Spring Trail (29.248705, -103.372253), take a left out of Park Headquarters and drive approximately 13 miles to take a left hand turn onto Ross Maxwell Scenic Drive to Castolon. From there, you’ll drive about 5.6 miles South to a pull-off on the left side of the road. There will be a sign just prior to the pull off letting you know that Ward Spring Trail is just ahead. From the trailhead you should be able to see a small ridge, that looks almost like a stone fence off in the distance, East-Southeast from the trailhead. That’s where you’ll be hiking. The trail is clearly marked and starts out in a flat area. 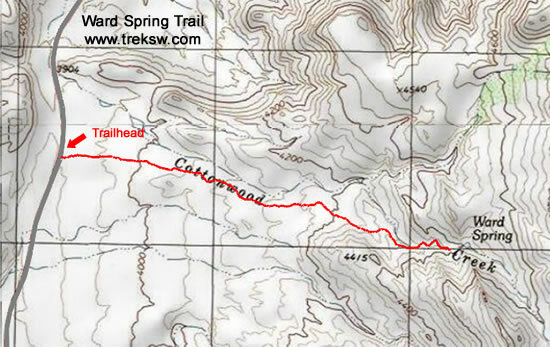 As you hike along, the trail will go gently uphill, until about a quarter mile from the spring, where it drops off into Cottonwood Creek (29.244597, -103.353580). 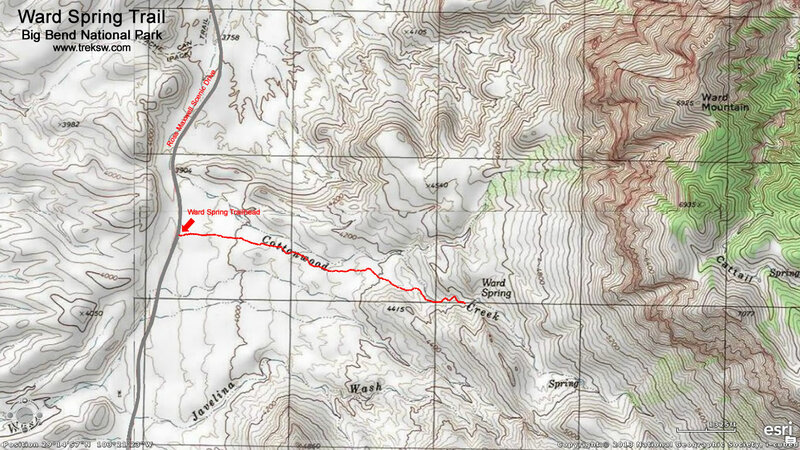 Once in the creek, you’ll follow it until you’re roughly parallel to the ridge that you could see from the road. Once there you’ll see a small spring bubbling up from the ground surrounded by trees (29.244576, -103.351826). Don’t drink the water here, it could contain parasites. It would need to be purified first. 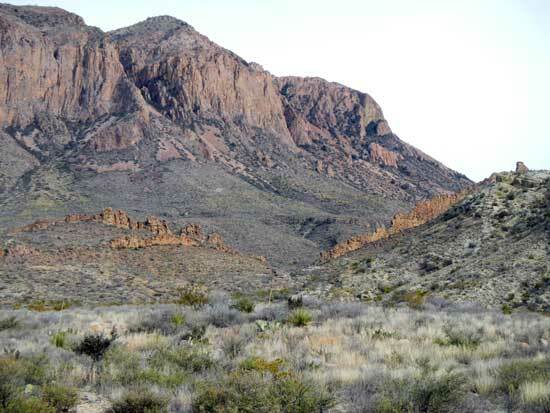 Always plan on no natural water sources being available in Big Bend National Park, and carry at least one gallon of water per person per day. We hopped over the creek and went under the tree in the picture above to sit and enjoy the shade next to the water. This much water in the dry season in Big Bend is a real treat. 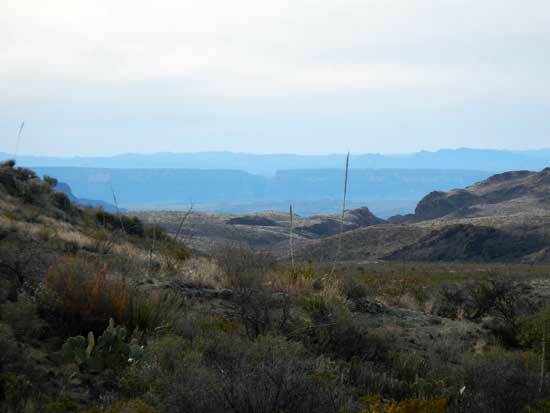 Once you turn to head back to your vehicle for your next adventure, you should be able to see Santa Elena Canyon on a clear day, almost sixteen miles away in the distance.